Zorro is also known as small-eared zorro, because it shares some morphological features with fox (Zorro is Spanish word for fox). 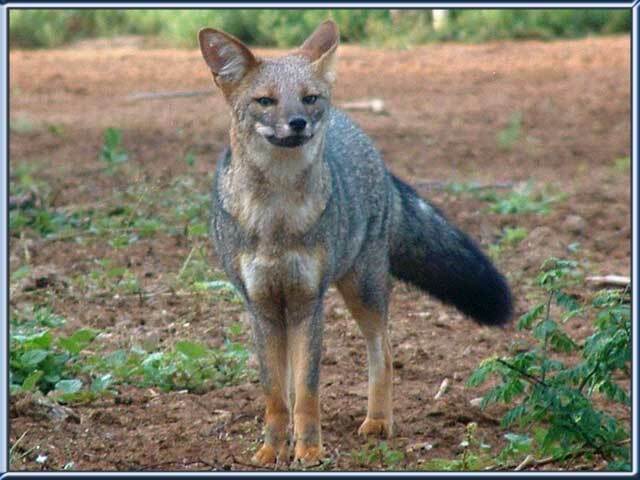 Zorro is also known as short-eared dog or South American fox. Zorro has elongated head, pointed muzzle and small rounded ears. It has short legs and slender body that ends with long, bushy tail. Zorro can reach 28 to 39 inches in length and 20 to 22 pounds of weight. Tail is usually 10 to 14 inches long. Females are larger than males. Zorro can be reddish grey or dark brown with tinge of blue color. Abdominal side of the body is reddish colored and covered with scattered white hairs. Fur of zorro is short, thick and composed of bristly hairs. Zorro is an omnivore, they eat insects, reptiles, birds, small mammals and fruit. Zorro lives close to the water and spends part of they life in it (semi-aquatic animal). Zorros is a solitary animal, but it occasionally hunts in pairs. Researchers believe that zorro reaches sexual maturity at the age of one year. Zorro is a solitary creature, but it occasionally hunts in pairs. Agitated males Zorro can be recognized by raised hairs on their backs. Zorro lives close to the water and spends part of its life in it (semi-aquatic animal). Feet of zorro are partially webbed to facilitate swimming and movement on the slippery ground close to the water. Zorro is rare in the wild because it competes for food with animals such as ocelot, jaguar and bush dog. Large species of wild cats are main predators of zorros. Males zoroo spray musk produced in tail gland when they are excited. Agitated males can be recognized by raised hairs on their backs. Little is known about reproductive behavior of zorro except that females give birth during the May and June. Pups spend first days of their life in the burrows of other animals or inside the hollow logs. Zorro is diurnal animal (active during the day), but it can be also active during the night.